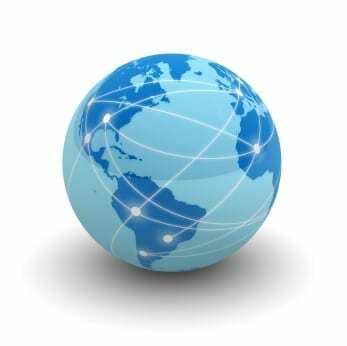 Home On a Shoestring Business Planning Could you be global …locally? Could you be global …locally? Yes! With globalization being the norm today, having a global outlook is a learned and transferable skill increasingly becoming a modus vivendi. What does it mean to have a global outlook? Do you have a global outlook? If not, how can you cultivate it even locally? Having a global outlook is rather complex as it involves an understanding of economic, sociological, geopolitical, geostrategic sustainable growth issues and their interconnectedness. Having a global perspective does not only related to ‘knowing world geography and economics’ but rather have a well-rounded, truly global 360 degree perspective. Tomes of research have been written on the subject. However, you can sharpen on some of the basic fundamentals of developing a global outlook even without getting on a plane. It involves what I like to call the ABC’s of being global: Arts, Business and Culture. You can begin to sharpen your global ABCs immediately through apps, reading, observing and engaging. Sharpening your global ABCs will also enhance your travel experience next time you jump on a plane for business or pleasure. Arts: The arts are a form of human expression quite influenced by culture and generated by the human creative impulse. The arts include literature, music, dance, theater, film, painting, drawing and sculpture. Often times the arts combine two or more genres, e.g. musical theater, mixed media installations with audio and visual components. The arts can give you a glimpse or taste of another geography, another region, country, city or even neighborhood. You can visit your local museum, library, community center or ethic neighborhood and seek out different types of art. Soon you will find those that speak to you more and you can dig deeper in learning more about them. Foreign movies are a great place to start and you can download then on your mobile device or tablet instantaneously. If none of these are available and you have internet you can google famous museums or musical performances on youtube. Business: Globalization is usually directly related to economics and business of how and where we do things. Books such as “The World is Flat” by Thomas Friedman and “The Tipping Point” by Malcolm Gladwell among many others are great primers in globalization. There are many reputable sources online and offline out there to help you strengthen your global perspective. My favorites include The Economist, the Wall Street Journal, The Financial Times and Monocle. I like the Wall Street Journal because it is written in a way that is both professional and easy to understand so you can explain it to others. I also like the Economist and I very much enjoy Monocle, which I find truly global on the ABCs and more. All of these are accessible with online or offline subscriptions and all have twitter accounts you can follow. Culture: Culture includes history, language, cuisine, clothing, customs, traditions and social mores and etiquette among many other things. Ever wanted to learn Italian, learn to cook thai or figure out how to make a great mohito? All of these interests are in one way or another tied to specific cultures. There are tens of free apps giving you the opportunity to learn the basics of a language, test out a recipe or mix that drink. The more we stretch our own limits, the more we broaden our horizons. You can did deeper into a culture to study it, understand its history and the various threads that weave its fabric. Large metropolitan cities may seem advantageous given the relatively easy access to museums, the symphony, theater, galleries and shows much to the dismay of those living in smaller or rural areas. Fret not: your access to the world, apart from packing up and taking a plane to other continents, is your mobile device or tablet. Your generation has more access to the world than any other generation in history. Your true (and practically free) ticket to “global” where the globe is literally at your fingertips and the only thing separating you from being global are your search skills, sense of wonder and eagerness to learn. In closing, a caveat: nothing beats getting on a plane and traveling to the location of your interest, living and working abroad and really digging into another culture by tasting the local food, observing and above all engaging with the locals, preferably in their language. But until you are on that plane seat or working on that expat role, you can be a glocal from your very seat right now by start working on your ABC’s.